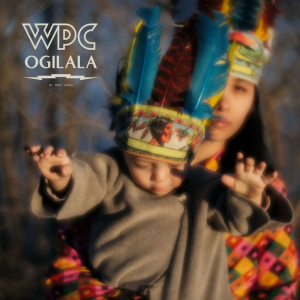 On Ogilala, we find this rendition of Corgan on a Rick Rubin produced, stripped down sorrow fest that is really good if you want to be sad. Corgan’s music is beautiful, his voice sounds like it hasn’t changed a bit, and the piano and guitar seem to find the holes that his voice miss. However, underneath all those good hooks and nostalgia are songs that need some balls. It’s easy to hide those misses around bleeps, bloops, and guitar crunch. Not so much when it’s just you and a piano. I’m not saying the record is bad, I’m just not confident that this is the correct path forward. But, who am I to say what is right for an artist and their creative outlet? The record is not without well-written songs including the gloopy “Zowie”, the slush of “Aeronaut”, and the almost glee of “Half-Life of an Autodidact”. Seriously check out “Processional” (featuring James Iha) and “Mandarynne” as those will go on a Billy Corgan Greatest Hits album someday. Unfortunately, I went straight from listening to Ogilala to Gish in it’s entirety if that gives you any indication. “Rhinoceros” was and is Corgan at his finest. There are many occurrences in the realm of pop music where an artist attempts to rebrand themselves, and their continued reinvention is the source of social experiments. Bowie and Madonna rarely missed, and when they did, they still drove the bus. From the outside in, it always felt like Corgan was the kid who eschewed the bus in favor of the dirt path that ran the opposite way. This is not a bad thing when it works in their favor, but some have said that Corgan has tried too hard. I think that it just shows that his Pumpkins bandmates: James Iha, D’Arcy Wretzky, and Jimmy Chamberlin were needed and wanted more that originally thought.